A whole meal that can be cooked in one dish is my kind of recipe. 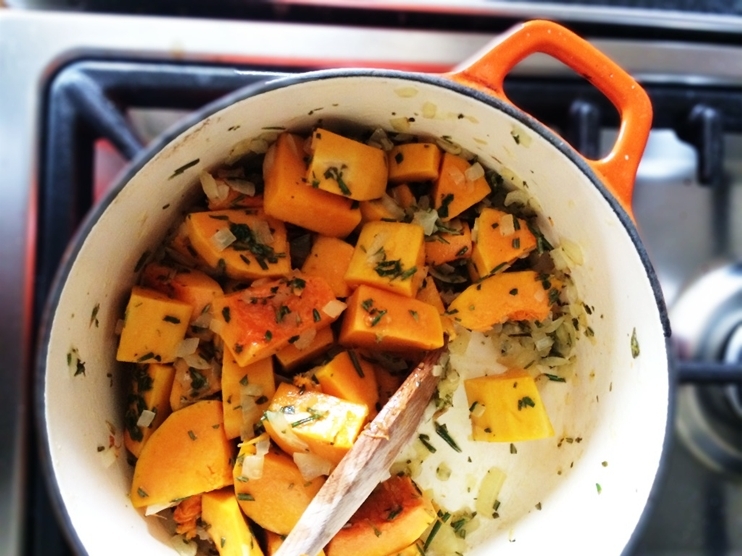 I happily developed this for Sainsbury’s Recipe Collection: One Pot. Packed full of fresh flavours, it makes for a deliciously light alternative to a full-on roast. Mummy ‘E’ came over and helped Giuseppe with the garden – while I ‘slaved’ away in the kitchen in order to pay the workers with a tasty lunch. Sssshh…they don’t need to know there wasn’t much to it. 1 Preheat the oven oven 200’C, fan 180’C, gas 6. With a sharp knife, score the skin of the meat. In a bowl, combine the rosemary, half the mint, the lemon zest and the juice, half the olive oil and the honey. 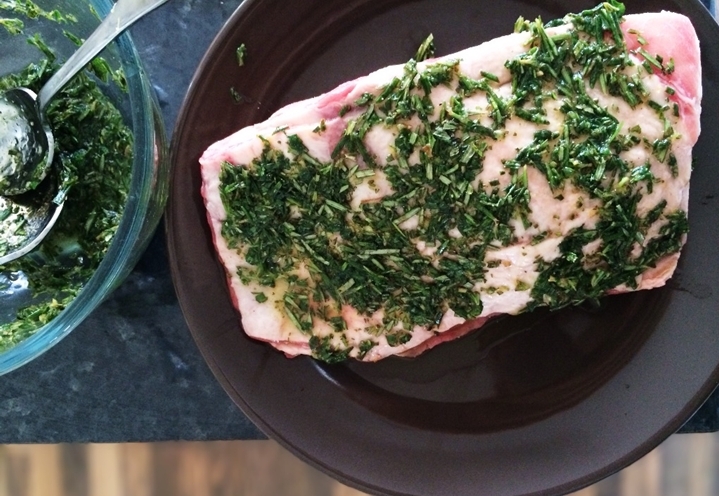 Season with salt and freshly ground black pepper, then rub half the mixture over the lamb. 2 Heat the remaining oil in a large, deep flameproof casserole over a medium heat, cook the onion for 5 mins, then add the squash and remaining herb mixture and cook, stirring occasionally, for a further 5 mins. Remove from the heat. 3 Pour the stock and wine into the casserole, and place the lamb on top of the vegetables. Cover and cook in the oven for 2 hours. 4 Halfway through the cooking time, remove from the oven, pour the pearl barley into the liquid around the meat and add 200ml boiling water. Use a spoon to make sure the pearl barley is evenly distributed, then return to the oven, uncovered, for the final hour. Check after 30 mins, and cover if the meat is browning too much. 5 Remove the meat from the casserole and rest for 10 mins before carving. 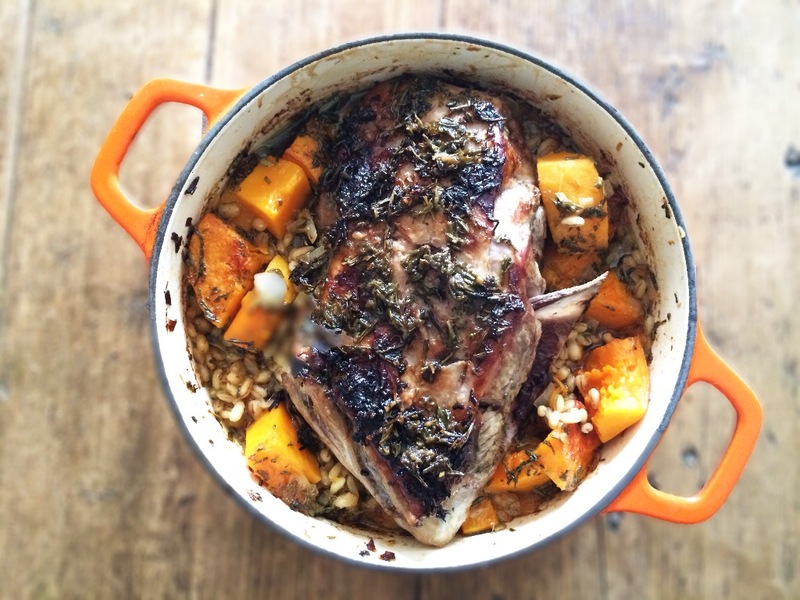 Stir the remaining mint through the squash and pearl barley, then serve with the sliced lamb. I made this with an 800g bone-in shoulder this time (another online ordering mishap but luckily it was perfect for feeding 3!). If you have a 800g-900g joint, follow the method above but add the meat with the pearl barley in step 4.